Welcome to Westchester Association of Homeowners in Grand Prairie Texas. We are a Covenant and Deed Restricted Community with a Grand Prairie PID. WAHO has mandatory Deed Restrictions but with voluntary membership dues. We would like to extend a warm welcome to all our new members who have joined; we look forward to getting to know you. If you are interested in participating on a committee, contact a member of the board. If you know of someone who recently moved in, please alert our Welcome Committee or a member of the board, they will greet the new neighbor with a WAHO Welcome Packet filled with information about the area to help them settle in. We need everyone to support our HOA by paying their dues so we can support our community in which we all live. You will find all sorts of information on this website-our newsletters are posted monthly, upcoming events, meeting minutes, etc are posted frequently. Plus, community links and information that affects Westchester. 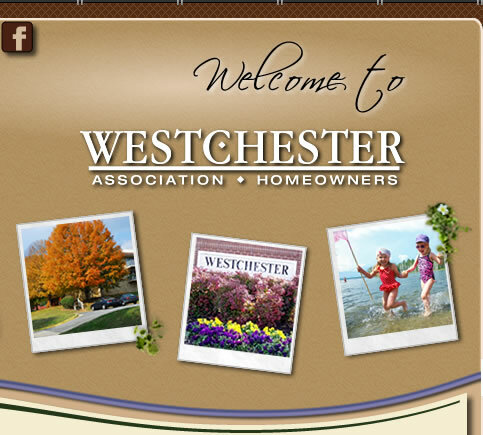 Members can post their business on Westchester's List. Please take a few minutes and familiarize yourself with our web site. We have a lot of information here to keep our residents informed! Please visit often, as this is your main source of WAHO information. All registered members will receive various notifications directly from us. You also are authorized to utilize the message boards (only members can view / post messages). Website Maintained by WAHO Secretary. The area off S. Carrier and Polo Road is moving along (Where Charter School was going to be.) Westchester will have 2 types of Senior Living. 55+ and Assisted Living. There is a real need for this type of housing. A perfect fit for us in Westchester. Mariposa at Westchester will have a 55+ Senior Living that will have 93 apartment type homes that will be all inclusive for the residents. Mayberry Gardens will be an Assisted Living and they will have some memory care availability. This also is around 100 residents. We believe there is a real need for senior living in GP. So many of our residents in Westchester have to sell their home because a spouse passes away, they are retired and can no longer afford the upkeep and taxes. But when they go and try to find something, there is nothing. We have 2 other senior living communities in GP but both are full with a waiting list. There are a lot of areas that they could live where they do not feel as safe as they did in Westchester. We want our aging seniors who want to stay in Westchester to be able to stay in Westchester and continue be a part of our community. We want them to be able do so and more importantly to stay safe and feel secure as they have for so many years. Westchester will be getting another retail area in our community. The HOA's in Westchester have worked with the developer on retail at the corner of Polo and S. Carrier, next to the fire station. Plans go to P&Z in August. We have asked for outdoor seating like for a coffee house, etc... Details will come later after the approval process from the City. Westchester has stopped the Charter School at Polo and Carrier. We have worked with the developer for quite some time about what we would like to see there. We are getting a 50+ senior living community. Harmony has backed out and will no long be building a charter school in Westchester. The Westchester Committee will meet with the Developer to talk about alternatives for the site. After our meeting at the end of the month we will inform the members of the progress and ideas that were brainstormed. If you have any questions or concerns please contact Rosemary Reed at 469-600-9075 or reedrosemary@sbcglobal.net. The developer pulled out and sold that land on S. Carrier and Polo Rd that was supposed to be single family homes. Pohl sold the land to Harmony Charter School out of Houston. There are a lot of issues with this permit and what they are wanting to do there. They own the land but never tried to contact us until all the plans were drawn up and we had our first meeting. The school will be a K-5 on less than 5 acres. Just the traffic alone will be a huge issue with 600 more students coming into Westchester. We feel that we do not need another school in Westchester. All 4 schools in Westchester has the highest rated scores in GPISD and some in all of Texas. The Charter School is an non compatible land use given the location and existing community. I believe the Charter school will have a negative impact on the following: 1. Traffic 2. Parking and relationship to Friendship Park 3.Environmental conditions such as existing large canopy trees, wildlife and storm water pollution 4. Westchester Architectural Standards 5. Westchester landscape standards. No city permit is required. Please note that city code prohibits food and beverage sales without a permit obtained by the seller. City code enforcement will patrol for violations.